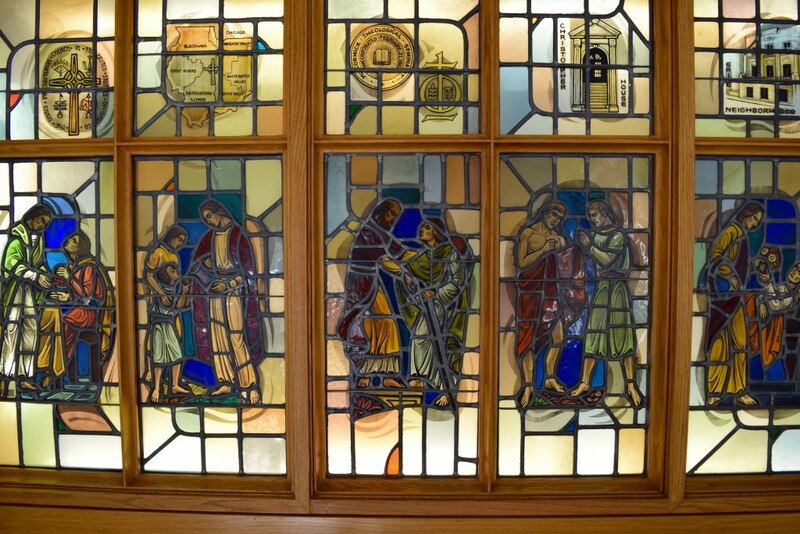 Memorial and funeral services of the church provide an opportunity for the faith community to proclaim the good news of resurrection, witness to the grace of our Lord Jesus Christ, the love of God and the communion of the Holy Spirit, to give thanks for and to celebrate the life of the one who has died, and to gather around and console those who mourn. A pastor can be available during this time of loss and will help arrange the service. Contact the church office at 847-256-3010 to make an appointment to speak to a pastor. Memorial: A memorial service is conducted at the church and can take place days or weeks after death. A longer timeline can allow more opportunity for friends and family to receive notice and make arrangements to attend. The casket or urn is normally not present. Funeral: A funeral service is usually conducted within days of death. It is generally held at the church although it can be held at a funeral home. The closed casket or urn may be present. Committal: The committal is a short service at the graveside or columbarium that specifically ministers to the needs of loved ones. It consists of brief scripture readings and prayers. The committal may accompany a funeral or memorial service and be held either before or after the service. The service can be a small gathering for close relatives of the deceased person. At First Presbyterian Church of Wilmette, memorial and funeral services may take place in the main sanctuary or Chapel. These components may vary somewhat. The officiating pastor shapes the order of service in consultation with loved ones and the previously expressed wishes of the deceased. The service is intended to be personal, while praising and thanking God that in life as in death, we are held securely in God’s hands. Family and friends are invited to participate in the service when appropriate. A limited number of people may be invited to offer brief remembrances during the service, which is arranged in advance with the officiating pastor. Once the service has been planned, First Presbyterian Church of Wilmette will print the worship bulletin. The following are a selection of particularly appropriate scriptures and hymns for use in the service or for your own personal reflections. Psalm 146 Praise the Lord, O my soul! 1 Corinthians 15:20–26, 35–38, 42–44, 53–58 Where, O death, is your victory? The following hymns, suitable for use at a funeral or memorial service, are found in the Presbyterian Hymnal. Participation by Other Ministers: One of the pastors at First Presbyterian Church of Wilmette will conduct the service. An invitation to assist in the service may be extended to clergy beyond First Presbyterian of Wilmette. It is customary for the invitation to be extended through the officiating pastor. Music at the Service: A musician for the service will be arranged through the officiating pastor. By request, a soloist or instrumentalist can be arranged. It is appropriate for worshippers to sing songs that affirm God’s power over death, a belief in the resurrection, and the assurance of the communion of saints. 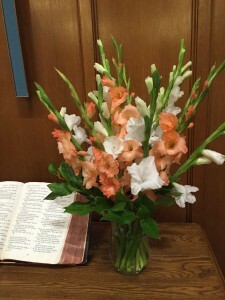 Floral Arrangements: the church office can provide names of florists who are familiar with the church. There are two pedestals for arrangements and/or our communion table in the chancel of the main sanctuary. The Chapel has a communion table for such an arrangement. Expressions of Sympathy and the Obituary: Often people request that in lieu of flowers, expressions of sympathy be directed to a memorial fund or a specific charity organization. When death comes, the church seeks to offer the ministry of presence, of shared loss and pain, of faith and hope in the power of the resurrection, and of ordinary acts of care and love. The church continues special pastoral care during the times of grief and adjustment.